Las Vegas, Nevada 3/24/14 Goldspeed Racing Products returned to the top of the podium last weekend as reigning ATVA champion Chad Wienen secured his first win of the season. Wienen and the entire Wienen Motorsports race team have elected to compete aboard the Goldspeed aluminum race wheel for the second year in a row. 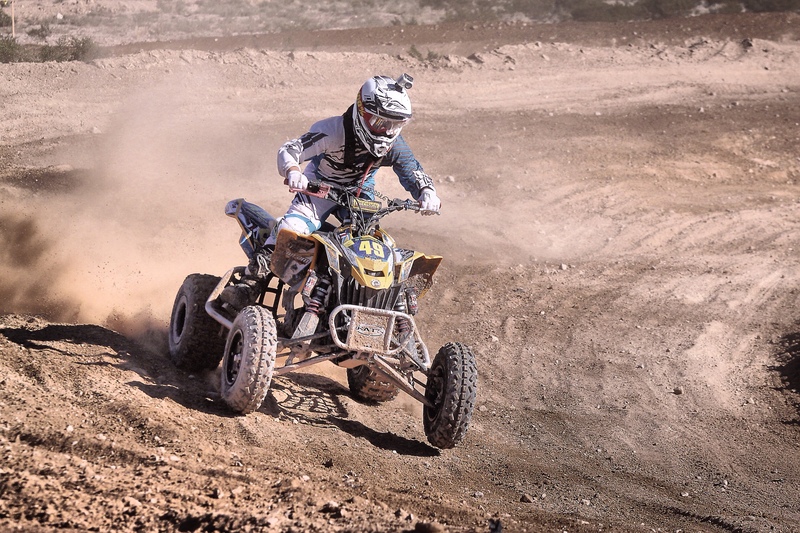 2 time champion Chad Wienen came out swinging, taking the fastest qualifier award as well as the moto one win ahead of a talented and hungry field of racers. 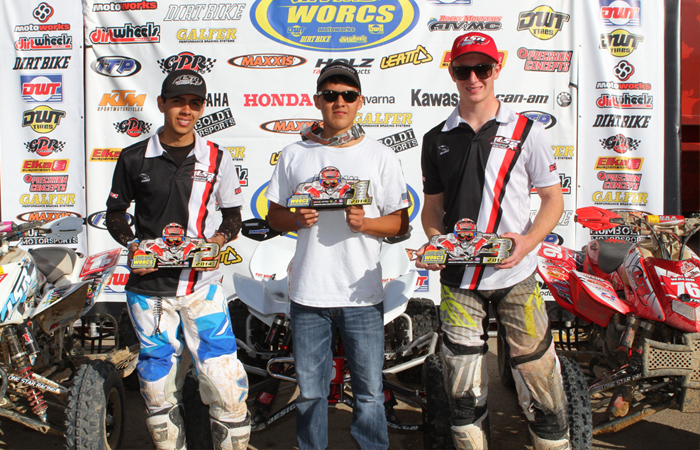 In moto two, Wienen trailed John Natalie who ripped a holeshot and carried the lead for the entire race. Wienen’s 1-2 finishes were good enough to give him the overall and allow him to keep the coveted red plate going into round two. 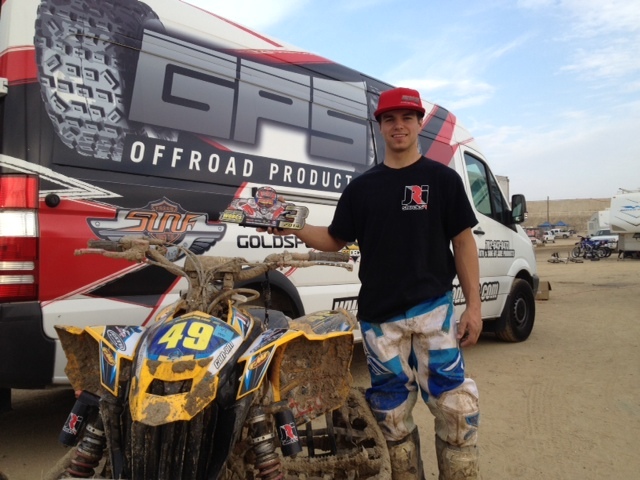 Fellow Wienen Motorsports/Goldspeed/FMF rider Thomas Brown managed a 5-5 finish to give him a top five spot for the weekend. 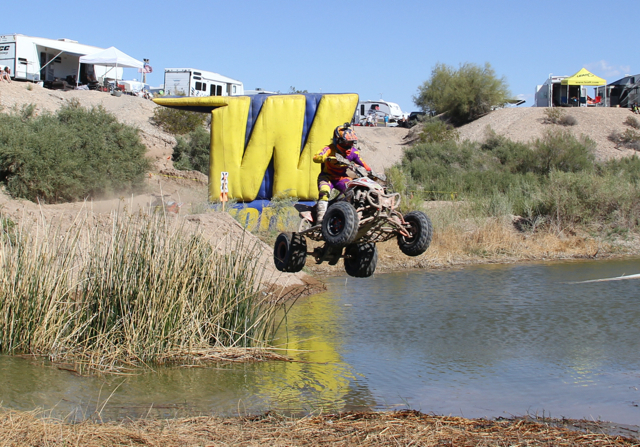 On the west coast, WORCS racers managed to overcome the brutal conditions of the Lake Havasu race course to earn multiple podiums at the third round of the World Offroad Championship Series. Despite a historically rough course, record attendance meant that racers would have to be on top of their game to survive the conditions as well as the competition.